Hi all. I'm excited to share with you my all time favorite Earth Day story. It's called The Wartville Wizard by Don Madden. It's a book with a powerful message about taking care of our world. 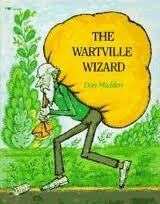 The main character, an old man, lives in a town called Wartville. He picks up litter day after day until one day he tires of picking up after everybody else's mess. He gains the power over trash and it literally becomes "stick ons" to the slob that left it on the ground. I've done this cute writing craft following the read aloud and my class LOVES it. "Stick On" trash. So cute! "I would make the trash people dropped go into their faucets and TV so when they wash their hands trash will pour on their hands. Also when they watch TV all the trash will block the screen"
" I would make the people have bad luck for a long time. After they have bad luck they will know not to litter." "I would make people eat the trash they littered. So I would either make the food go directly into their mouths or mix it into their food." What are you plans for Earth Day? You can link up with Go Fourth with Mrs. Owens. I REALLY would like this! Thanks so much! Thanks for linking up! I've never heard of this book. Sounds like a great activity! I've never head of this book, but I'm eager to check it out! Thanks so much for stopping by my blog!! 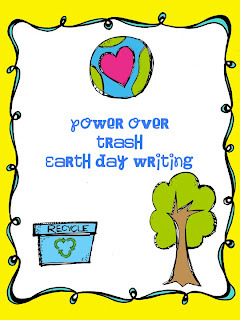 Your earth day writing project seems so cute!! I think my kids would love it :) I'm your newest follower!! What cute ideas for Earth Day! 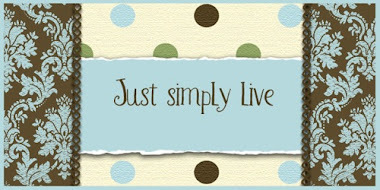 Thank for checking out my blog! I am now your newest follower! I had never heard of the book Wartville Wizard but now I can't wait to purchase it and use it next year in conjunction with our Earth Day activities. I love your activity to accompany it. Thanks for all your hard work. This is a super cute activity that goes along with this book. Thanks for creating this! This is a really cute activity! This is so cute! My kids would love this activity! They are really enjoying the activities we have begun for earth day since we just fnished our pollution unit. Come to our summer linky party! Cute activity. I'm looking for some great Earth Day writing activities. This activity is great! The responses you shared made me laugh out loud. I found you through my new blog-thanks for following! I'm so exicted to be your newest follower! I know we already follow each other, but I have giveaway going on, you should come by and check it out!